This ticket allows access to all music event & performances of Tmrw Tday Culture Fest 2019 and access to all Irie Soul Yoga & Wellness Events, Tribe Talks & Work Shops and entrance to the Garden of Mary from Monday 29th April to Sunday 05th May. This ticket allows access to all music event of Tmrw Tday Culture Fest 2019 and access to all Irie Soul Yoga & Wellness Events, Tribe Talks & Work Shops and entrance to the Garden of Mary from Thursday 02nd May to Sunday 05th May. 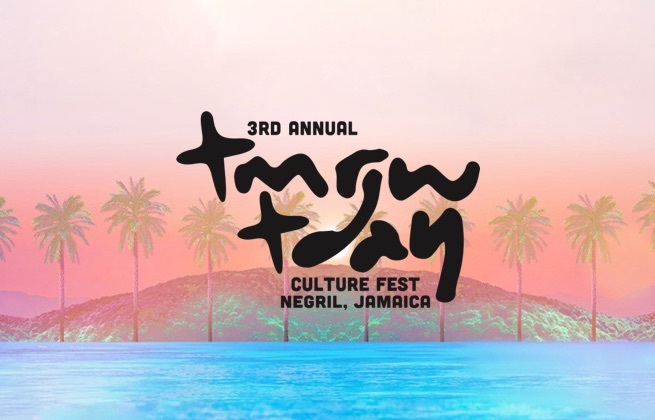 Tmrw.Tday Culture Fest takes over Negril's beautiful seven mile stretch of beach for a week long journey of music, wellness, workshops and more. From dawn to dusk we join together to embrace a diverse programme that includes performances from the likes of Dubfire and Protoje, yoga and meditation, reggae beach parties, tribe talks and workshops, and cliff jumping and cave swimming. The festival will take place along the seven mile stretch of beach in Negril, Jamaica.